Taking you on a magical mystery tour through an era that changed the music world forever, where an amazing number of rock ‘n’ roll stars will be hitting the stage at each show. 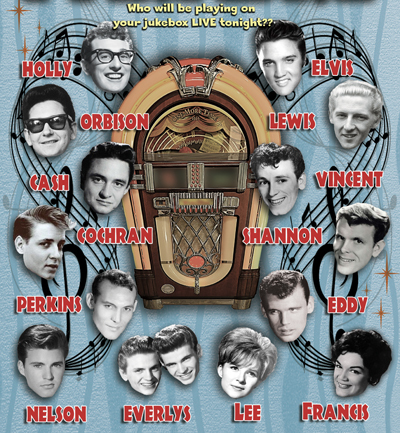 As the jukebox makes its selection, no two performances will be the same. Each show will be packed with the country's finest tributes to rock 'n' roll's stars performing the very best songs ever written, supported by the explosively dynamic Paradise Band. Are you ready to rock and roll with the best show on the road?? All-new Rock ‘n’ Roll Paradise is on its way………. !